Today I interviewed Katherine Longshore, author of the historical YA novel, GILT. Today I’m happy to host Young Adult author Katherine Longshore whose debut novel, Gilt, is set in Tudor England! When Cat worms her way into the heart of Henry VIII and becomes Queen of England, Kitty is thrown into the intoxicating Tudor Court. It’s a world of glittering jewels and elegant costumes, of gossip and deception. As the Queen’s right-hand-woman, Kitty goes from the girl nobody noticed to being caught between two men—the object of her affection and the object of her desire. To see the interview and enter the book giveaway, click here. You’ll love it, Eileen. 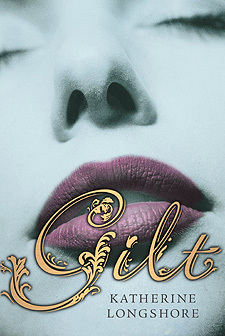 GILT rocks. Hard.